I know that the OEM spot on the block and the turbo are damn near level but at this point, I wonder if you really have anything to loose by putting a 90* on right at the turbo and going to the block. You could probably rotate the center cartridge a few degrees off vertical to get some of the geometry better on the drain. I'm pretty sure the GT3071R on my T5R wasn't a 100% vertical for the same reason. I tried this, and it was a pretty conclusive failure. There is little room for error to have it align with any amount of a downslope toward the block. and I found this after idling the car twice, for 15-20 min each time. ...and all of this oil came out of the compressor when i removed the intake pipe shown above. Basically just screws on over your existing fitting and gives airspace up above oil level in the block. Return just comes in the side (or top, tops probably easiest). Probably some 1.5-2" aluminum intercooler scraps, a couple end caps and you might be all good. You could probably even put a baffle in the middle to help keep the oil from sloshing back up under cornering. Fake edit: Are you sure at this point you just don't have blown seals in the chra Tom? Yeah, I'm thinking I'll just make something out of scraps I have around. I think I have just about everything needed to do it. 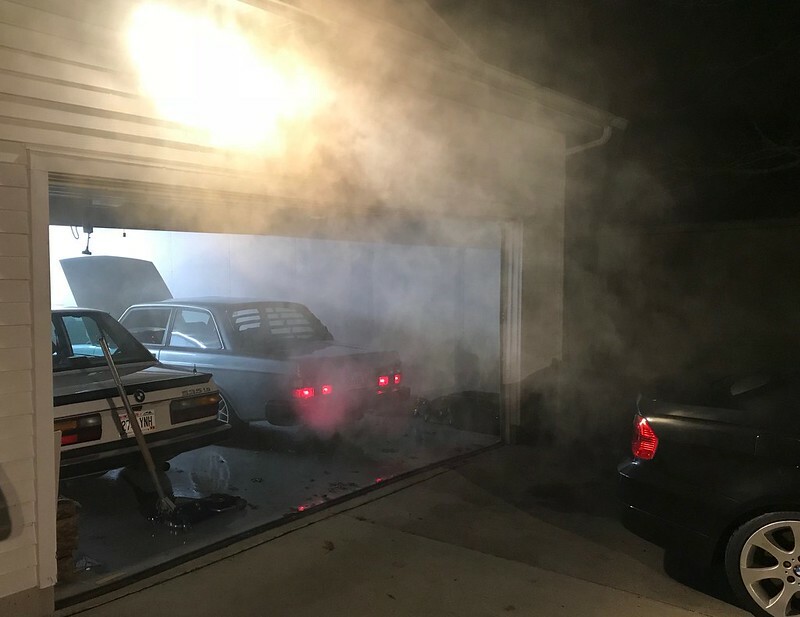 I had the turbo rebuilt over the winter so it's definitely all good. I'm living vicariously thru you here since I'm pretty much on the same path. Hopefully I can get it all ironed out for you. It's easier than doing the work myself. Last edited by Hank Scorpio; 05-15-2018 at 04:01 PM..
Blown seals are fake news. I should elaborate. 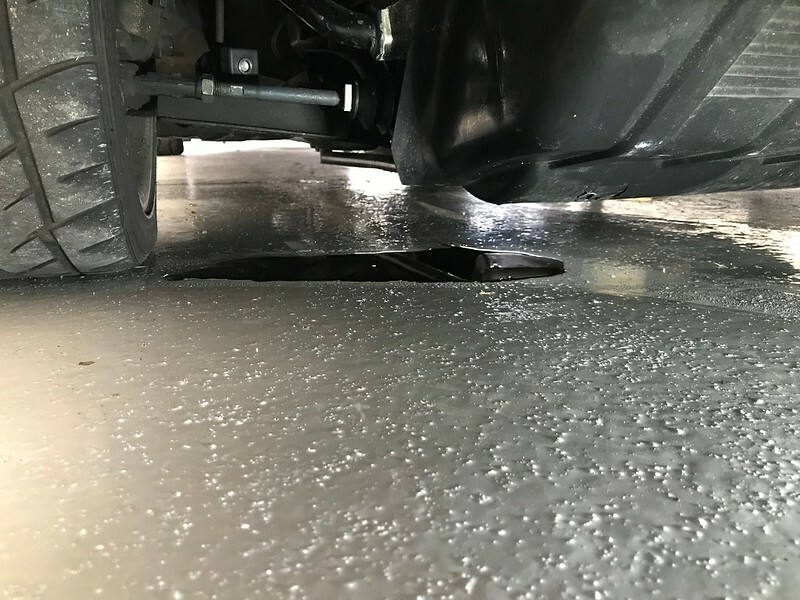 The common "blown seal" diagnosis is mostly a myth or mistunderstanding at best. Top image above shows a GTX ball bearing cutaway; I borrowed the pic from some site but it looks like it was taken at SEMA. Bottom diagram is an old one but still mostly applicable. The seal systems on both sides are dynamic, meaning they are not effective unless the turbo is spinning and everything is up to temp/pressure. At the core of each seal is a piston ring, but this is only designed to restrict gas flow - not oil flow - into and out of the turbo. The idea with oil is to keep it away from the piston rings. Pretty simple strategy really..."How do you avoid an oil leak? 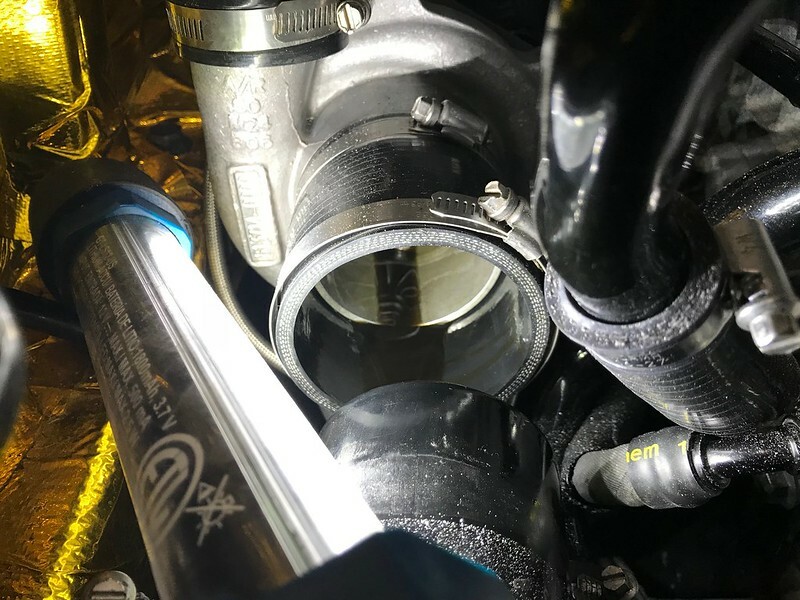 Keep oil away from the holes..."
The slinger grooves on either side act to spray oil away from the piston ring bore area and into the big annular (mmm, donut) cavity around the shaft on each side. Sometimes there are oil deflectors as well, but many turbos don't use them. On a ball bearing turbo you do get some spray out of each open end of the bearing cartridge which heads right towards the seals. This is why it's more important to restrict oil inlet flow with a BB turbo. Oil loses pressure as soon as it exits the bearing, so the drain cavity in the center housing should be mostly air ideally, with oil vapor and foam draining down the chute and into the drain hose or line. 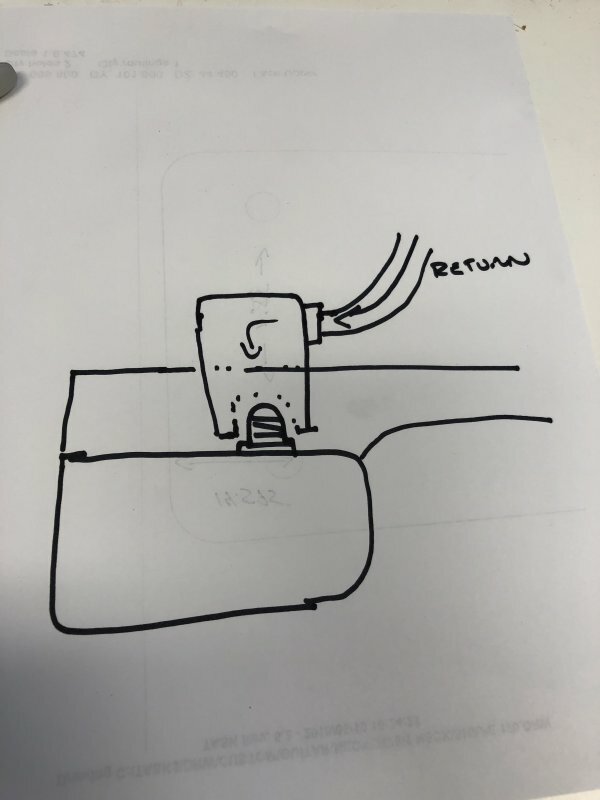 Back to the idea of piston rings acting to seal gas pressure: if crankcase pressure is too high and the drain's connected directly to the crankcase, then you'll get essentially the same pressure in the turbo center housing cavity. 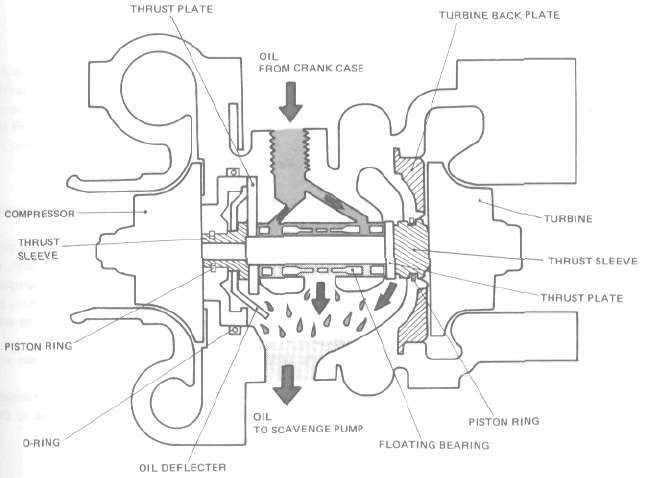 It acts to force oil past the seals on both ends, depending on conditions on the other side of the seal (so leakage is worst at low boost / low backpressure conditions like idle or overrun). 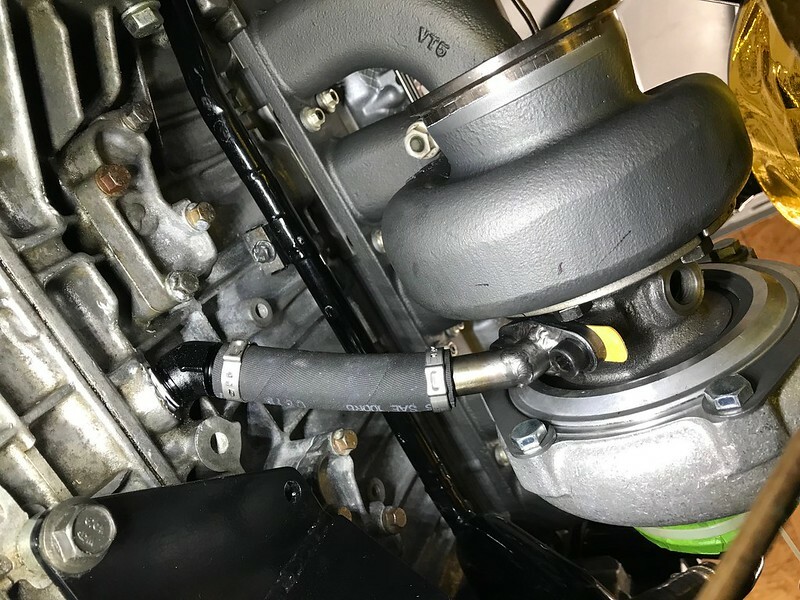 In Tom's current situation I think crankcase pressure isn't the problem, because the drain goes down into liquid oil, isolating the turbo from crankcase pressure. Gotta be insufficient volume to drain the center housing. In the case of the mostly-horizontal drain line heading back into the block above oil level, it's likely still too restrictive - AND also now directly feeding crankcase pressure into the turbo, where there's too much oil hanging around waiting to get blown out past the piston rings. Suddenly this thread has become the most educational on tbricks. Dropping knowledge bombs. Thanks for the insight, Chris. I'm curious to see if this accumulator idea works out. I think original idea of the porsche style accumulator is on point and you could probably fab that up pretty quickly. That would get you some breathing room above the oil level and you wouldn't likely need a scavenge pump or anything since it'll still gravity drain. 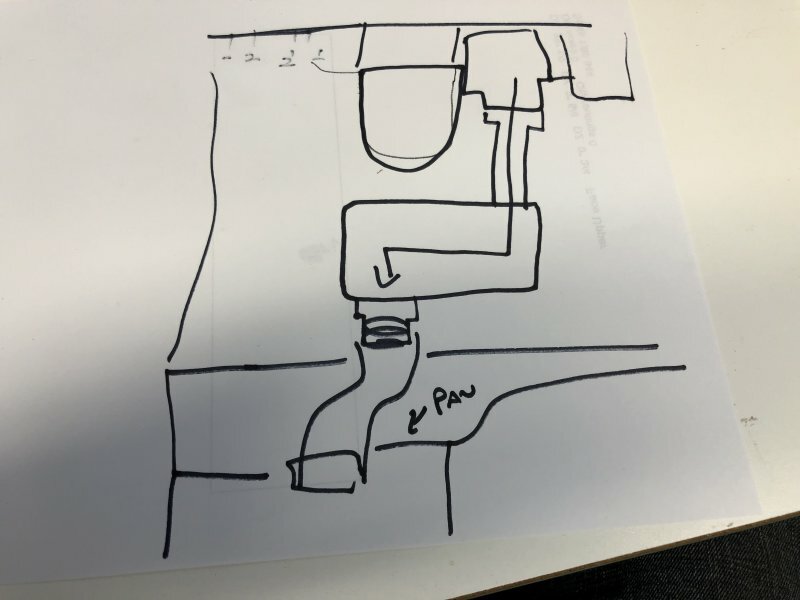 Not sure if you'd be better with the outlet facing straight down (so your hose run is straight connectors) or at the end, I'd imagine straight down is better. Nothing real to update on the 245... there are some things pending but nothing major at the moment. Body shop is making slow progress but it's happening. I just inherited this 64 c10. Unfortunately, my grandfather passed away recently and thankfully with out drama or infighting this was slated to me. I'm really happy to have it. Grandpa has had and garaged this since 68. It's solid and while there's a very small percentage of me that wants to leave it stock, that's just not going to happen. Have plans for it and they don't involve an ls1. Last edited by Hank Scorpio; 06-05-2018 at 09:44 AM.. 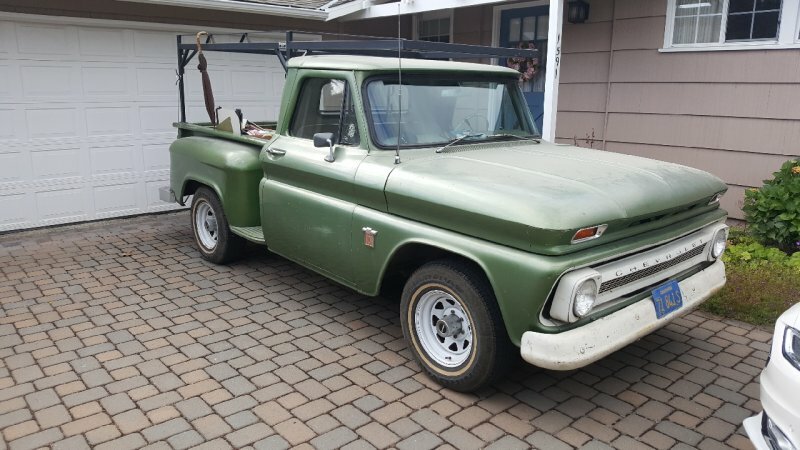 I like 240 wagons, but the first gen C10s were my first true loves ... ive got a 1960 myself. bummer bout the circumstances, but that beast looks clean! Thanks! It's a bit guilty to feel excited about it but I know he was excited I was getting it. It's very solid. He had it painted this color in 74 over the original paint. It's thin now but I'm sure a contributing factor for how solid all the sheet metal is. Now I just need to find a fleetside box,..
Doug lets put a enem K15 in the truck! Last edited by Hank Scorpio; 10-03-2018 at 09:50 PM.. 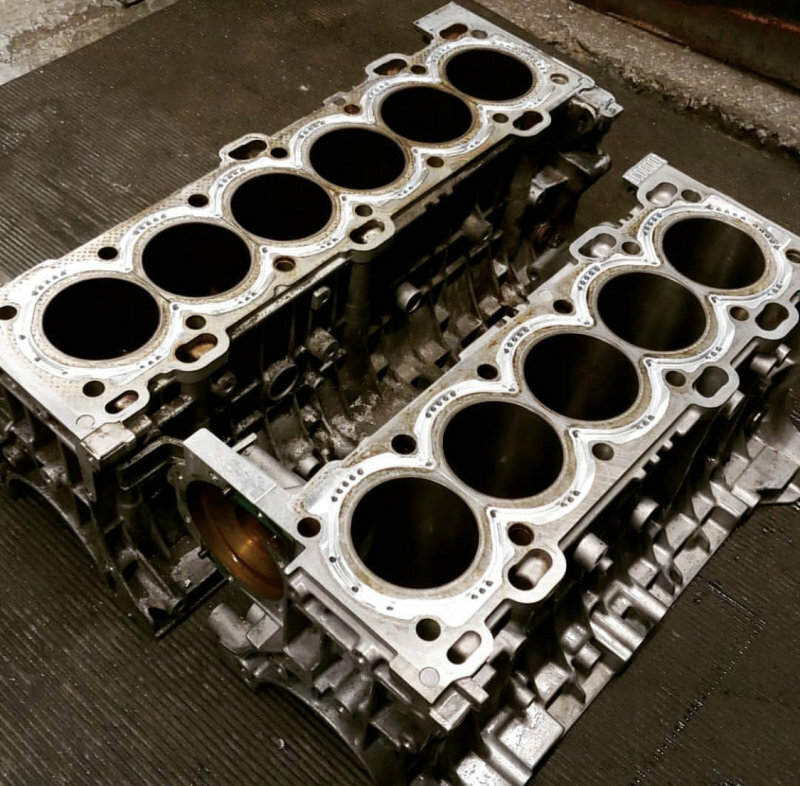 Both my blocks are done :D Rods and pistons for the T6 are on order from Josh along with new pistons for the T5 (since it'll need to be bored now). Wait I missed something, why are you building two engines? because the 245 has been apart for so long... inherited a second project. Now I'm really just trying to restrain myself from having 2 projects torn apart at the same time. It's real hard with knowing the 245 seems to be stuck in body shop purgatory. (and the driveline). 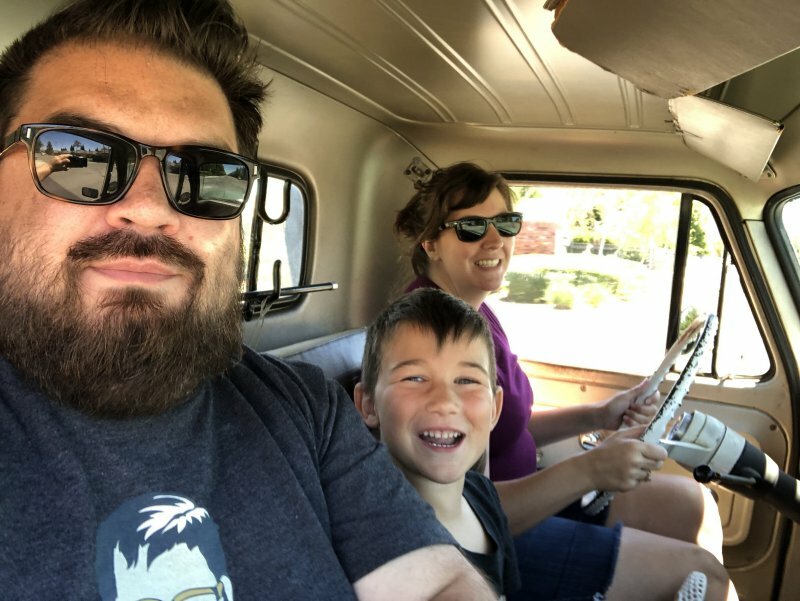 Sending the T6 stuff to a different shop (Ben @ Rolling Motors) instead of my normal shop. My guy had cancer while he's in the clear as of about a year now, he's waaaaay behind on work. I haven't been pushing him on the T5 and that honestly gave me the chance to get the block back and send it to Roger for the closed deck conversion. Figured might as well do both. I also have 272* cams coming for the T6 and a couple other odds and ends already. Should be a lively motor. The local guys really like Ben (he's about 45m from me). I haven't had occasion to use him yet, but might call him up to connect me with dyno tuning sometime. That's a great photo! This is the time to let things go a bit slower. Don't do two projects at once. One at a time and when it's the time for the next you'll be ready. The truck is awesome giving you all something to enjoy while the Volvo project slowly comes together.